Local economic drivers, showcases for the state’s No. 1 industry, provider of family entertainment – Luke Sailer sees all that and more of the grounds and events he will manage in Springfield and DuQuoin. 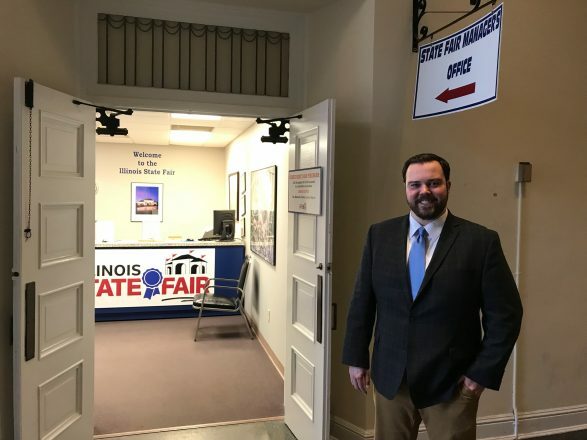 The 25-year-old Carmi native said he wants to build on recent successes of both the Illinois State Fair and the DuQuoin State Fair as the new manager of fairs and promotional services for the Illinois Department of Agriculture (IDOA). While the state fairs remain focal points, Sailer also brings experience as manager of nonfair events at the Springfield fairgrounds. However, for both fairs, “we have to be mindful of the (state) budget,” the new manager said. Sailer points to economic boosts to area economies when both state fairs broke entertainment ticket-sale records last year. In fact, the Illinois State Fair set back-to-back Grandstand ticket records, a goal Sailer hopes to continue in 2018. Agriculture promotion remains strong at both state fairs. Sailer noted relocating IDOA’s tent and several displays to a central location on the Springfield grounds helped to highlight the industry’s importance. His family farms about 1,400 acres in several southern Illinois counties. State fair livestock shows have grown under the auspices of Livestock Superintendent Brian Sager and Assistant Livestock Superintendent Larry Wilson, Sailer said. Lowering youth exhibitor ages helped increase opportunities, and Sailer hopes that growth continues. Each year, fair officials evaluate the shows “trying to get cutting-edge talent,” he added. Both fairs maintain strong ties to the Illinois FFA and 4-H programs. “We want 4-H and FFA (members) to show their animals and be part of the fairs,” Sailer said. In the future, the fair may highlight more ag technology. “There is a big drone movement and GPS in agriculture. We want to showcase that,” Sailer said. Because the Springfield fairgrounds are close to an airport, Sailer wasn’t sure what Federal Aviation Administration rules might apply and curtail possible demonstrations. 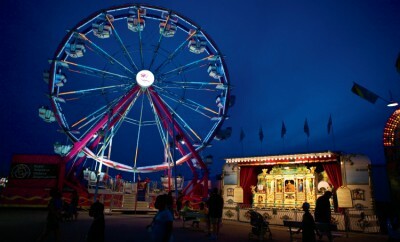 As for the condition of fairground facilities, Sailer said, “Safety is our No. 1 priority.” Gov. Bruce Rauner proposed $30 million for Coliseum repairs and other improvements on the Illinois State Fairgrounds in his capital plan. “We would love to see it (the budget) pass,” Sailer said. Considering the large number of first-time visitors who viewed last year’s eclipse in DuQuoin, the new manager said he didn’t know if the fair would be able to capitalize on return visits. IDOA has worked with Southern Illinois University to promote the fair and has drawn students from the Carbondale campus with special promotion and activities, he noted. This year, the fairs offer special opportunities to celebrate by marking Illinois’ bicentennial, as well as the 165th Illinois State Fair, Sailer said. 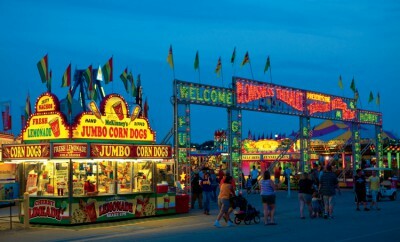 The Illinois State Fair will run Aug. 9-19, and the DuQuoin State Fair will be Aug. 24 through Sept 3.